Is anybody entering the Ford Meeting...? I think he will pull the plug on it and add more classes for solos if we don't get the entries in. Where can I find the Regs for this meeting???? hope that helps. no cheques cashed till the meeting. they just need entries to make it viable. yes it may be another 2 months away, but all the solo classes are almost full. so don`t give the club the option of another solo class because you are all to slow to send entry`s in. forms above . save print and send. simples. 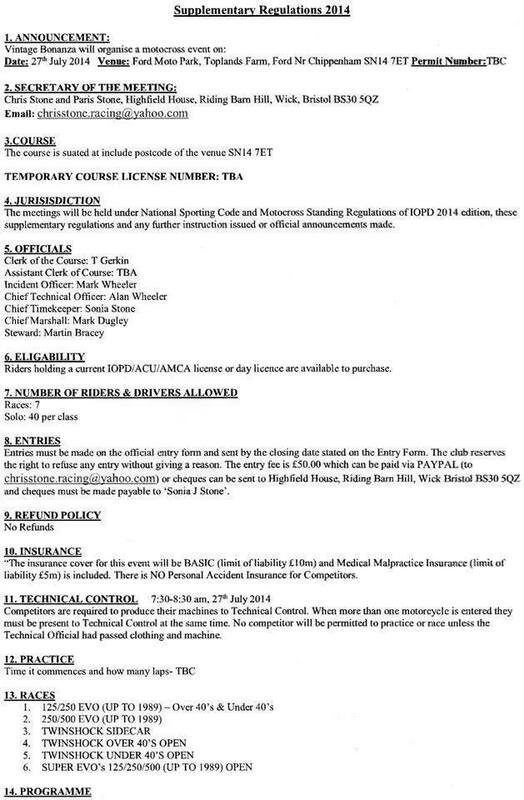 As of last weekend ONLY FOUR SIDECARS ENTERED. the guy is on about pullin the plug, has 100 plus solo`s wanting to ride in another group. you have been warned . this meeting may not happen for you. 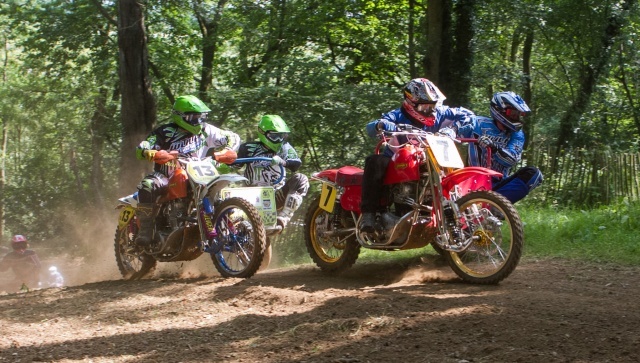 If you want to ride enter don`t talk about it. The reason being only 15 twinshocks have entered so now open to all. 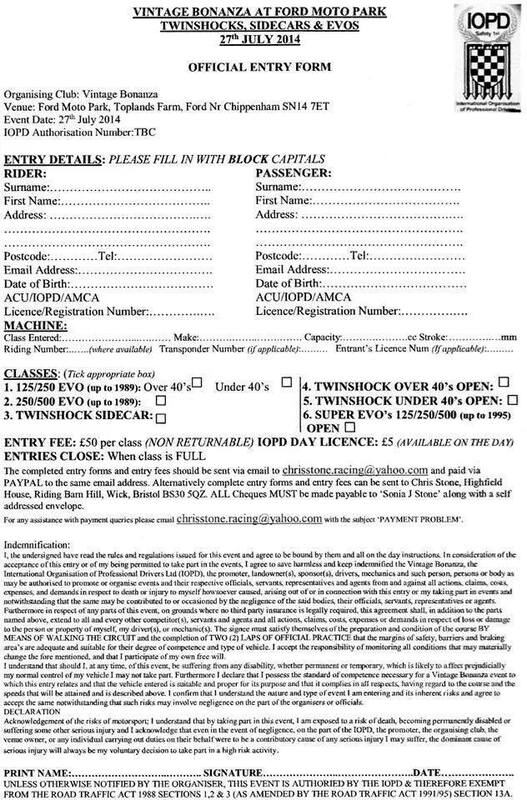 its there in black and white on the entry form...twinshock sidecar...and the event says vintage bonaza, to be honest i will just be happy to get out on me bike! Has anyone actually had their entry confirmed ? To the best of my knowledge we haven't. Had a letter back saying received entry & payment look forward to seeing you on 27 also a sticker.